2015 Winter Classic – A Sarasota Tradition! 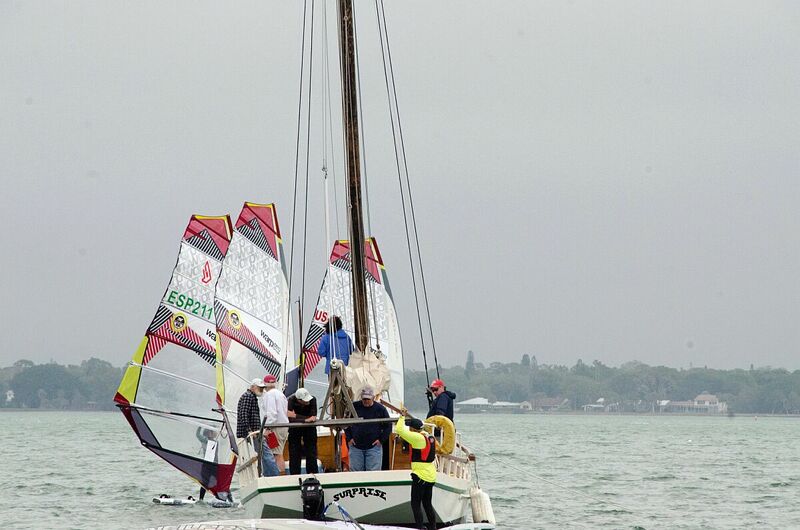 The 13th running of the Sarasota Regatta was held February 28 and March 1 at the Sarasota Sailing Squadron. Once again a good time was had by all! Although our turnout was small this year with only 14 racers, it was full of quality sailors that year after year are a pleasure to serve. The fleets were split evenly between the Kona and Formula fleets. Deiter Reichelt was convinced to leave his venerable 380 F2 raceboard on the car and try Kona. In the Formula fleet Ron Kern took first, followed by Eduardo Owen, with Monica Arche in third. 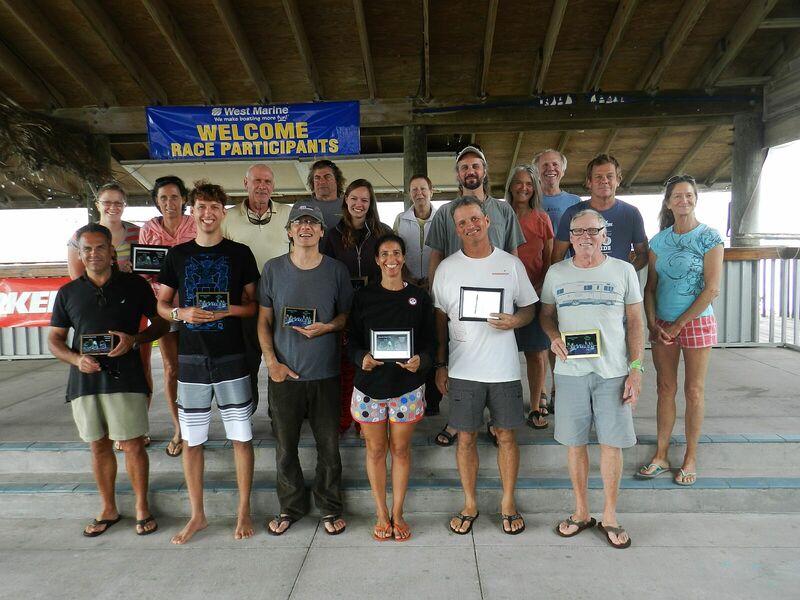 On the Kona Side, Margot Samson and Steve Gottlieb tied in points, number of firsts and number of seconds. We took care of that by awarding Margot first for Women and Steve for Men. Margot’s dad Jerome was third. Since we had prepared quite a few trophies featuring very arty modifications of pictures from last year’s regatta, we also made sure that everyone got a memento of the regatta. Our visiting windsurfers always rave about the venue. The sailing squadron manages to mix the laid back feel of “Old Florida” but still provide all the modern amenities and is a place that is always happy to have new friends. 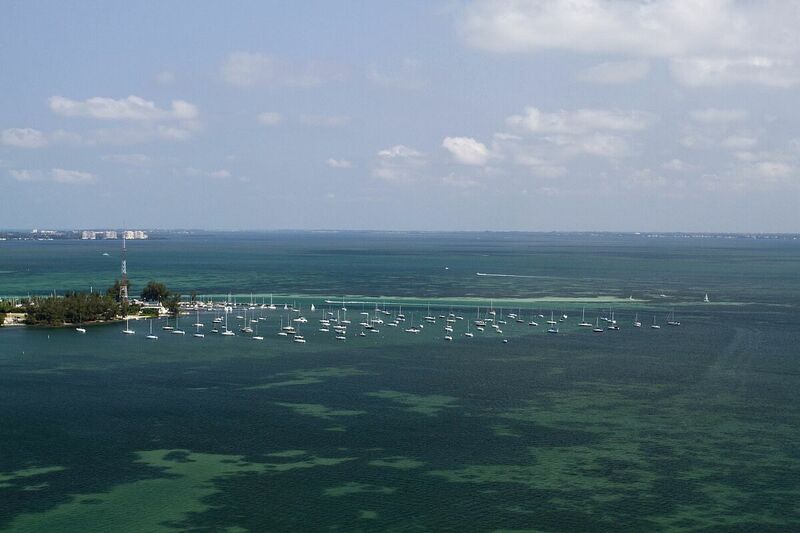 We have a bar, fireplace for the cool days, wonderful view of the Sarasota skyline, and great sailing all year round. Free camping is available for folks attending regattas and there is even space for RVs. For the coming year, we are looking for input on the race date. Traditionally we have held the regatta one week before the Calema Event, but wonder if a later date would work for more people. Please let us know in the comments section below. 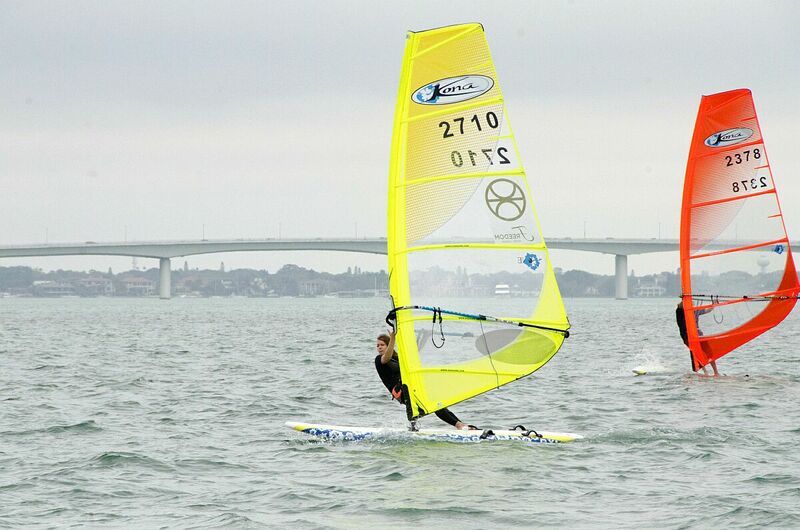 Very interested in windsurfing in or south of Sarasota, Florida. Hi Anna, make sure to connect with Jack at the Sarasota Sailing Squadron, and Laurel at Island Style Windsurfing. And if you can drive a little further north to St Pete Beach, don’t miss North Beach Windsurfing there. Next story Calema Midwinters – from Diapers to Manhood! Previous story Wissa Wassa Wassa in Wisconsin!